Last Wednesday the relevant authorities did the necessary to stop people from smoking in Public Transport. Occasional operations, however, are just not sufficient. We have to do it continually and consistently. Encouragingly, participation of NGOs and private entities on anti-smoking campaigns seem to have ramped up so the education part is fairly taken cared of. It is now time to put the stick to work. More agencies (government or otherwise) need to take cue of what the two did. Kudos! This is a small piece of good news to non-smokers. 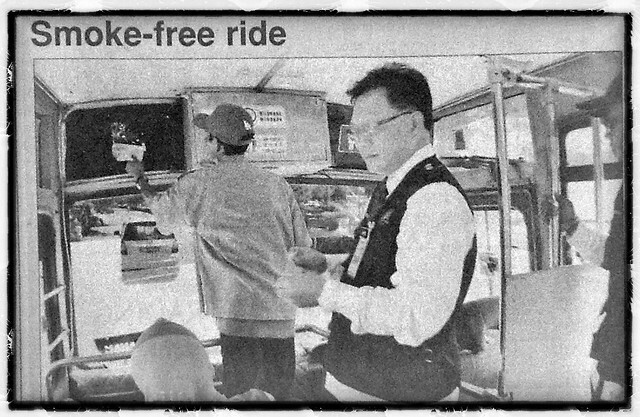 Commuters on public transportation in the State Capital can soon enjoy a smoke-free ride, thanks to a joint operation conducted by the Road Transport Department and the Kota Kinabalu Health Office in Kota Kinabalu, recently. The two-and-a-half-hour operations, which started at 9.00am and called "Ops Anti-smoking in Public Transport (Bus/Taxi)", was conducted by a total of 6 teams comprising 20 officers at Taman Awam in Likas Bay. 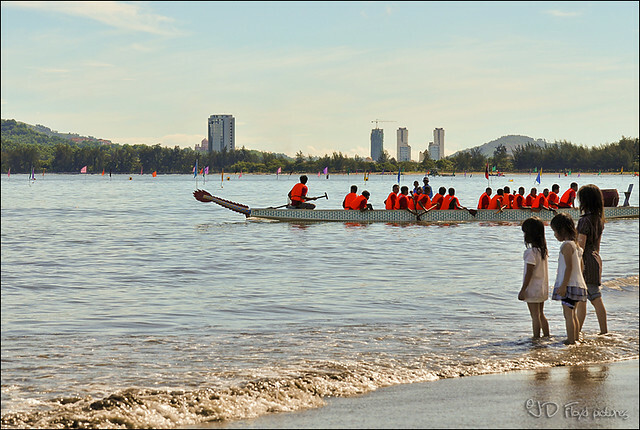 Operations aside, Taman Awam in Likas Bay is a great place for recreation and picnic. Regulation 12.1(a) - Signage should be displayed in Public Transport. Pamphlets and stickers were also distributed to public transport vehicles to create awareness regarding CTR 2004. A total of 48 public transport vehicles we checked and a total of 6 notices were issued to public transport operators for failures to display signages.